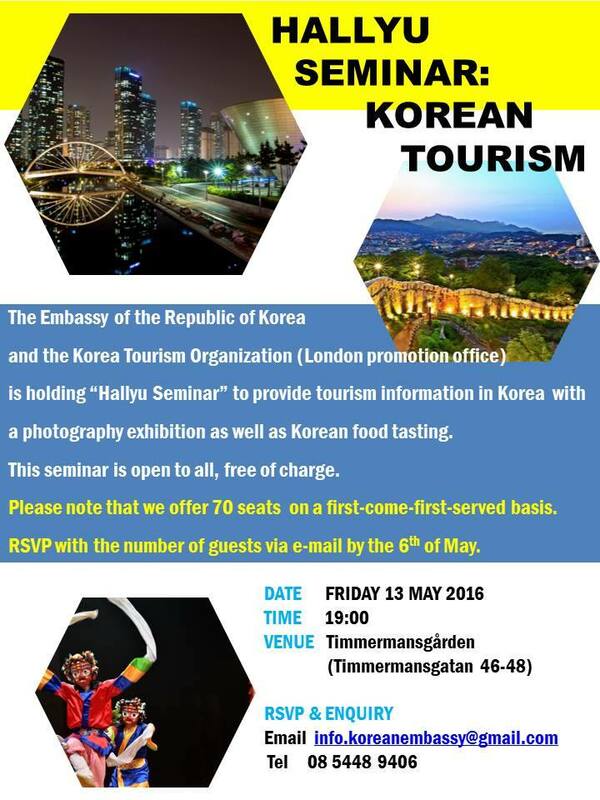 ”The Embassy of the Republic of Korea invites you to Hallyu Seminar: Korean Tourism. This event will be held at Timmermansgården on the 13th of May. It is a great opportunity for you to gather the most up-to-date information on Korean tourism particularly if you are planning a trip to Korea in the near future. Also, a photography exhibition of Korean landscapes will be displayed alongside Korean food tasting. Please note that we offer 70 seats on a first-come-first-served basis via e-mail RSVP with the number of guests by the 6th of May.